41 LISTS The Walking DeadLists about AMC's hit show, adapted from a comic book series, about life for survivors of an actual zombie apocalypse. List Rules Vote up the most intense, brutal, and badass weapons ever used on The Walking Dead. If you're not caught up with The Walking Dead, stop reading, because SPOILERS. You’ve read The Most Badass Kills on The Walking Dead and you want more. Let's zero in on the most badass Walking Dead weapons, shall we? One thing the show has made abundantly clear: there's no right or wrong weapon for the zombie apocalypse. Whatever you can get your hands on, be it a gun or rudimentary bludgeon, use it. The best weapons on Walking Dead run a wide gamut, ranging from garden variety tools to the latest technology. Tyreese did a lot of damage with his hammer, while Daryl wreaked havoc with a rocket launcher. Want more Walking Dead weapons? How 'bout the Seekins Precision Full Auto .223 rifle. It makes skulls go BOOM. Fans might say the best Walking Dead weapons rest in the hands of the never-showered Daryl Dixon. Take his signature crossbow, for instance. One of the things that makes Daryl so badass is his willingness to use any weapon he can get his hands on. Grenade, golf club, a gooey walker skull; anything will do. That not enough for you? There's always Rick’s Colt Python, Michonne's katana, and Carol's absurd arsenal, which includes her sleeve gun, explosives, knives, and... foreshadowing hate casserole. As for Season 7, will Ezekiel use his tiger, Shiva, in combat? Will Negan's Lucille be the belle of the ball? Choose your favorite Walking Dead weapon and vote it up. Negan has Lucille, but does he have Carol? 'Cause our gang has Carol, who broke her cherry killing her abusive husband, Ed, after he was bitten by Amy. Mousy Carol used a pickaxe and cried her way through the process, tapping into long-bottled up rage. 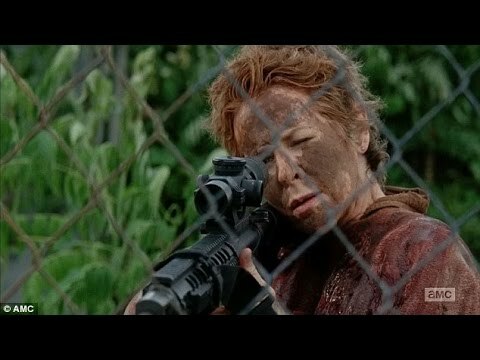 Carol doesn’t have a signature weapon because she doesn’t need one. She’s used farm tools, handguns, rifles, knives, fire, explosives, deception, fear, cigarettes, casseroles, floral distractions, camouflage, Wolves clothing, and sweater sets. Negan really needs to get himself a Carol. 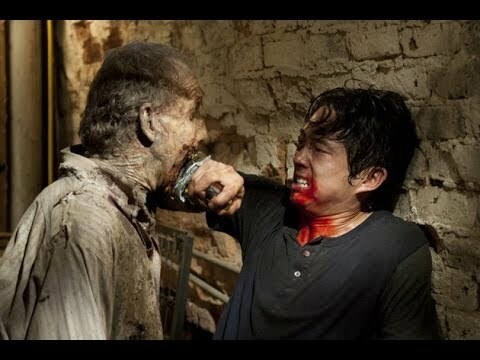 Pizza boy Glenn turned into Korean Jackie Chan when Merle locked him in a room with a walker. He killed the walking dead using the chair to which he was strapped. Rick’s signature weapon was standard issue for Georgia State Patrol, but the way Rick holds it is pure Ricktator style. Although Rick has utilized many weapons throughout the series, the Python is a favorite. 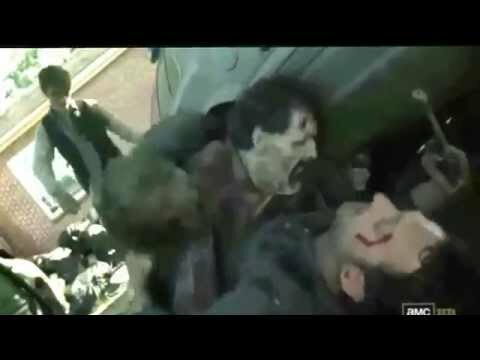 Remember when he shot through the mouth of a walker and killed two behind it? Classic Rick. He’s also shot a couple of undead little girls with his Python (which isn't as pervy as it sounds, if you're unfamiliar with the show). Glenn is such a MacGyver. He removed the arm bones of a walker he killed and gave them to Maggie to fight her way out of Woodbury. What a mensch.